Products that try to be all things to all people are typically mediocre at everything. The free and open-source VLC—the VideLAN player—comes closer to pulling it off than any software on the market, paid or free. Personally, I have a love/hate relationship with this cross-platform video-playback software; mostly the former, and the latter only occasionally. I love the way it handles nearly every format, including HEVC; that it allows dragging and dropping subtitles; that it can capture from video cameras; and that it can play network streams (hence its name); and more. But I hate the way it misfires, depending on the version, on certain AVIs, FLVs, and MPEG files. Even more, I hate the way in which it misfires—requiring more than ordinary effort to close. I was hoping version 2.2 would put all that in the past. I’m happy with the improvements, but a bit disappointed in the continuing substandard error checking. 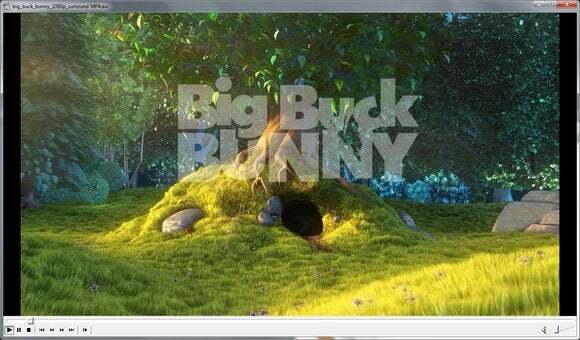 VLC is a cross-platform app, and it delivers a host of features not found in Windows Media Player (WMP) or the QuickTime player. Most of these come under the heading of network streaming and playback filters: VLC will slow or speed up more types of video than WMP, it allows you to apply motion and spatial blur, filter out colors, sharpen, distort, and more. Some of the filters, such as psychedelic and water, are fun, but ultimately useless. Overall, VLC has so many features, it’s impossible to review or describe all of them. VLC can pay nearly any file format, codec, and container type you can think of. Back to that format support. About the only thing VLC doesn’t profess to play back is a copy-protected Blu-ray disc. And decoding is done internally. That is, the codecs are integrated into the player, so you don’t need to download and install a bunch of DirectShow filters as you must to with WMP to broaden that player’s codec support. I last reviewed version 2.0, but I’ve continued using it through version 2.1 and the release candidate for 2.2. Most of the changes for 2.1 were rewrites of audio codecs and internals, as well as the some new hardware acceleration and support for the latest versions of Android and iOS. From my perspective, all that happened was that the program stopped playing some older WMV files with MPEG-4 video and WMA audio. Though a release candidate (RC2) has been out for a couple of months now, VLC 2.2 was only released officially today. Version 2.2 is described as a major release, and as far as the work that has been done on the inside, it is. The changes that the majority of users will notice are welcome, but relatively minor. VLC 2.2's "resume" feature is a welcome addition. For me, "resume" is by far the most welcome. It allows you to pick up playback of a movie from where you left off, as many other media players, hardware and software do. This feature is implemented as a question at the top of the screen when you re-open a file. The file will open at the beginning and start playing, but you can jump back to your previous location. Subtitle functions are now a root-level menu on the main menu, and categories are in the preferences dialog are at the top rather than the side, providing for quicker navigation. At some point, VLC also recaptured the ability to play the older WMV files that had become problematic. Unfortunately, it started failing with some antiquated (but useful) MPEG-1 program-stream files with older headers. This has been the normal cycle with VLC: things get better, things break, things get better…. Settings for subtitles have been helpfully relocated to the main menu bar. On this go-round, there was still a problem with the MPEG-PS file, and that included one that was actually using the AVC codec. The QuickTime player handled the former just fine, and other players had no issue with the AVC-encoded file. All in all, however, that’s only two fails out of about twenty file types I threw at the player in OGG Theora and x.265 encodings. Sadly, VLC still tends to hang when it doesn’t understand a file or the file is damaged in an odd way, often requiring a trip to the task manager to force it to quit. VideoLan is also demonstrating big ambition in adding compatibility with Digital Cinema Package, a container format used by digital theaters. Also new is support for Opus in MKV files, VP8 in OGG video, MPEG-2 encoding using x262, and HEVC/H.265 encoding using x.265. Automatic rotation of video is now supported under Windows as well. VLC easily offers the broadest operating support of any media player, and indeed, any program of any type that I’m aware of. In addition to now less-used operating systems such as Solaris and OS/2, it now supports Windows Phone, Windows RT, and even the Rasberry Pi. It’s nearly impossible to find a computer that won’t run VLC. VLC is a remarkably robust piece of software that should be everyone's toolkit, even if it's not their primary media player. The other big news is that… No, it isn’t. VLC still uses a traffic cone as its symbol. Traffic cones are usually used to indicate something you should avoid, and you definitely should not be avoiding VLC. Even if you don’t decide on it as your main player, it will definitely help you out when you run across an obscure codec, streaming need, or want to view subtitles for a Stephen Chow film when that function breaks in WMP and MPC-HC (Media Player Classic: Home Cinema, a VLC rival). That last scenario happened to me just last night. If you’re back on VLC versions 2.0.x or 2.1.x, there’s no reason not to upgrade that I could find, and several reasons to take the plunge. The interface, though in a glacial rate of development, is getting better. VideoLan is already hard at work on version 3.0. I’m hoping for a revamped interface, but all that’s promised is hardware decoding and acceleration to more platforms, better support for mp4, adaptive streaming and TS streams, and partial ChromeCast integration. 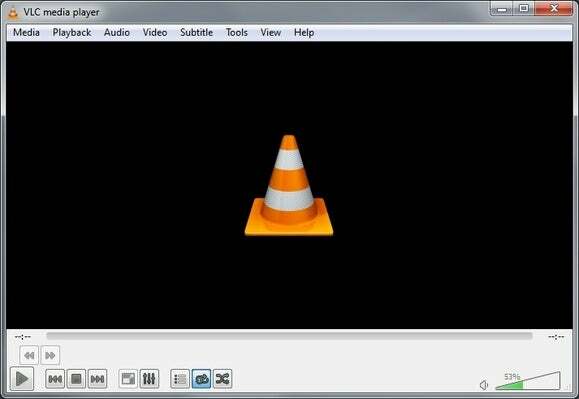 Update: This story, originally published on July 13, 2012, has been completely updated with our first hands-on impressions of VLC 2.2.